Tommy Keene’s recent passing only serves to underscore the realization that power pop will always be a marginalized idiom of its own making. The Posies realized this early on and seriously set about debunking its very existence with 1993’s Frosting On The Beater, a darkly beautiful album that ranks among the ’90s finest moments—and certainly one of its most enduring. Starting in May, Omnivore will be reissuing Frosting, along with its DGC bookends: 1990’s Dear 23 and 1996’s Amazing Disgrace. 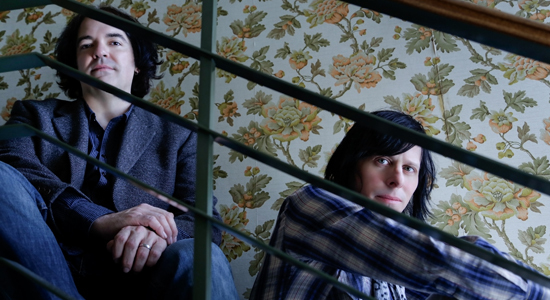 Posies founders Jon Auer and Ken Stringfellow assure us that each will deliver a payload of juicy outtakes and such. Vinyl versions of the original LPs are also part of the campaign. Meanwhile, Auer and Stringfellow are heading out as a duo starting this week, before reassembling the Frosting-era band for a fully fleshed-out celebration of the Posies’ flirtation with major-label infamy. 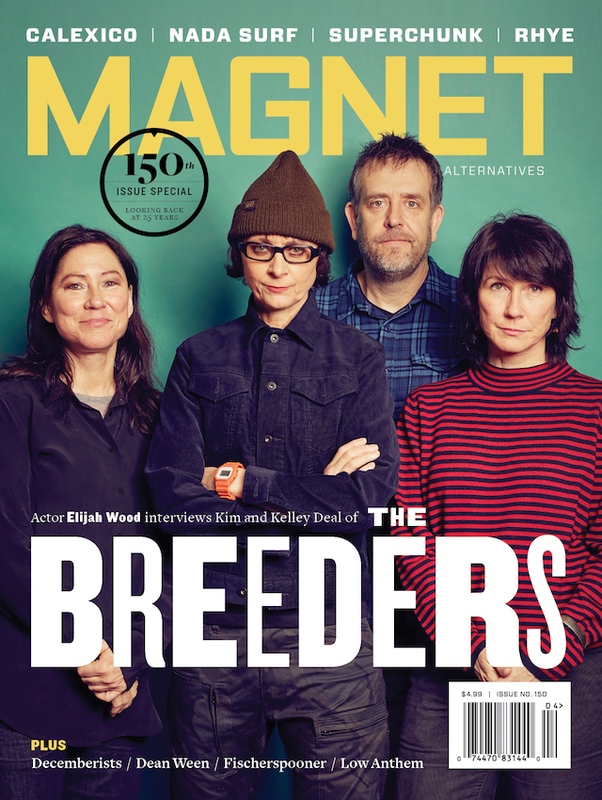 These days, both are residing in Europe, where MAGNET caught up with them via transcontinental conference call. What are the details surrounding the reissues? Auer: May 4 for Dear 23, July 27 for Frosting On The Beater and October 26 for Amazing Disgrace—that’s the timeline from Omnivore. Auer: I know that sometimes there’s a tendency to repackage bonus tracks that’ve been previously released and just update them, remaster then and sell them all over again, and sure, were doing some of that. But so much of what will be on the re-releases has never been made available before, and it’s all culled from our personal archives. We navigated our way through a huge stash of an obsolete media form known as the DAT tape, which yielded incredible stuff, some of which we didn’t even remember recording. It’s shocking, for instance, to see how many demoes there were for Dear 23. And for Frosting, there’s no way we could fit all the extra stuff on the reissue and make is manageable. Stringfellow: To be clear, we did put out a box set in 2000 with a whole bunch of unreleased stuff. But almost none of the bonus tracks on the new reisssues were on that box set. So there’s that much more unreleased material that we’ve been able to find. How about the vinyl reissues? Stringfellow: The CD version of Dear 23 is one of the reasons why I’ve never gone back to that album much. It didn’t sound very good to me. Yeah, you really have to turn that one up. Stringfellow: And after listing to the original tapes, I have to say that it’s not the same record—it’s way better sounding. Sonically, it’s much clearer and more close at hand. Dear 23 always stuck out because it sounded a little mushy and washy. Frosting was meat-and-potatoes solid and hard hitting, and our other albums just don’t have the reverb thing that Dear 23 had. We were teenagers when we did that album, and we learned a few things in the three years of touring after that. Auer: I think there was somewhat of an intimidation factor in making that first major-label album. I mean, we’d made this independent record (1988’s Failure) that had gotten all this attention that led to this record deal with DGC/Geffen fairly quickly. And then, all of a sudden, we were making a record with one of our production heroes, Sir John Leckie, a true English gentleman who’d worked with Pink Floyd, XTC … some of our all-time favorite artists and records. I think we spent six weeks working on 10 songs for Dear 23; we spent 90 hours total on Failure! To me, sometimes it sounds like we’re trying a little too hard, like it’s a little stiff. That’s what I hear when I put it on. But I still think it’s a pretty great record. On Frosting, the two things that stand out the most for me are the larger-than-life guitars and the insane drumming of Mike Musburger. Auer: The ironic thing about the sound of the guitars being so huge is that it was stumbled upon through these really small amps we were using—it’s in between distorted and clean. And we were experimenting with open tunings heavily, and personally, I felt like we were finally establishing something we felt was our own. Stringfellow: And there’s a British way of making records, and there’s an American way of making records. Auer: We were encouraged by our new producer to relax as well. I mean, you couldn’t get more opposite of John Leckie than Don Fleming. Don was more of a rock guy with no formal engineering training, and he wouldn’t let us get fussy about things. The drums and guitars weren’t labored over; we all felt free to let it all hang out in the studio. Any quick thoughts on Amazing Disgrace? Stringfellow: “Dense” is a word that comes to mind. It has some wonderfully composed pop songs, but it didn’t come off that way somehow. It’s not as easy to approach, which is another reason to like it. It’s more demanding. Auer: It’s our most rocking record—the one that has the most aggression. In retrospect, I’m amazed at how angry it sounds. I saw you perform in Houston on the Amazing Disgrace tour. You looked a little angry that night. Stringfellow: That U.S. tour was right on the heels of a European tour and went right into an Australian tour. It was never-ending, and the four personalities in the band were going in pretty different directions, really. There were two divorces going on, and we’d kind of hit a wall in terms of the exponential growth we’d experienced. We were just these dudes on tour, with some of us taking drugs at some point and getting into funks. We weren’t communicating very well, and that’s a disaster. On a more positive note, I’m really looking forward to seeing Mike Musburger on drums for this tour. Auer: The first time we played with Mike, we decided to do a few covers. “I.O.U.” by the Replacements was the first song we ever played together. After the guitar intro, there’s this single snare hit that occurs, and I remember shooting a look at Ken after Mike made that first hit, like I’d been hit by lightning. Stringfellow: I was 19, Jon was 18, and Mike was maybe 20. None of us was old enough to drink, and Mike shouldn’t have sounded that pro. But he had his act together, for sure. It was pretty obvious that he was amazing.